The office of the Turkish President stated after the phone call that both presidents agreed that it’s necessary to renew bilateral relations between the two countries; apart from agreeing on the importance of normalizing relations between the two nations, the two presidents decided that they would meet in person. The Kremlin said that Erdogan’s letter, that expressed grief and apologies for downing the jet, created a basis to end tensions between two nations. Some Turkish media outlets reported today, citing diplomatic sources, “The foreign ministers of the two nations will meet soon.” According to this source, the Turkish Foreign Minister Mevlut Cavusoglu and the Russian Foreign Minister Sergei Lavrov are expected to meet on July 1st in Sochi. 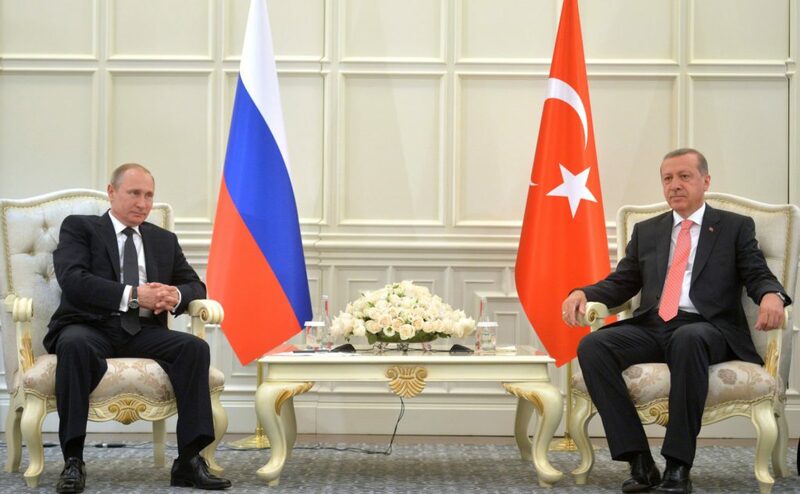 The process of normalizing relations between Turkey and Russia comes after seven months of tensions and diplomatic struggles following the downing of the Russian Su-24 fighter jet. Renewal of bilateral relations with Russia follows Turkish efforts to normalize relations with Israel, and against the background of terrorist attacks on Turkish soil. President of Russia, Vladimir Putin, condemned the terrorist attack on an Istanbul airport that happened yesterday. On November 24, 2015, two Turkish jets shot down a Su-24 Russian jet near the Syrian border. Turkey’s position was that the Russian jet invaded their air space, but Russians denounce those claims, insisting that the warplane never crossed Turkish borders. The incident created tensions between the two nations followed by travel restrictions by Russia. After the phone call between Erdogan and Putin, Kremlin announced that Russia will remove travel restrictions against Russian tourists traveling to Turkey.